When we heard of director Milan Luthria and ace actor Ajay Devgn along-with Emran Hashmi collaborate for a movie after 7 whole years, we thought something extraordinary amazing was going to happen. But unfortunately, it didn’t! A queen (Ileana D’Cruz who plays Gitanjali Devi), who’s overly protective for the treasure that she apparently hid it since years for the betterment of the villagers. A bodyguard (Ajay Devgn who plays Bhavani) who can even die for his apparent love Gitanjali, is all head over heels to help her for endless treasure to not reach in the wrong hands. A cop (Vidyut Jammwal who play Seher) conveniently takes the project up with his senior to protect the gold. Bhavani’s two friends (Emraan Hashmi who played Daliya and Sanjay Mishra who portrays Guruji) are loyal friends who are in full support to help Bhavani steal the treasure. Well, there’s Esha Gupta too, playing Sanjana who is apparently in debt of Gitanjali who also gets in support of her to save the treasure. Wait! This sounds too confusing right? But it actually isn’t! Everybody wants to save the gold from either of the parties and the entire story keeps moving from how one person ditches the other and ultimately where all the treasure reaches. We were expecting too much out of Ajay in terms of performance, but Vidyut and Emraan totally steal the show, clearly! Ileana tries hard to make herself look like a strong lead but fails. Sanjay is natural but doesn’t have much to do and same goes for Esha who’s hardly involved in the action. Talking about the action sequences, that is the only thing which is executed well. I think more than the people, it was the truck full of gold which played the lead. Just so much importance given to the truck which apparently was the toughest for more than 10 people to crack the lock. But well, Guruji is the man who does it all like a boss. Nothing great to talk about the cinematography or the editing. Talking about the music, except for two songs namely ‘Mere Rashke Qamar’ and ‘Piya More’, there’s absolutely nothing to look ahead. Also Sunny Leone is at her sensous best in the song ‘Piya More’ and that’s the only selling point for that one song. Dialogues, apart from a few aren’t that great either. A few moments in the film were either abrupt or hilarious. You’ll know when you watch it or “IF” you watch it. 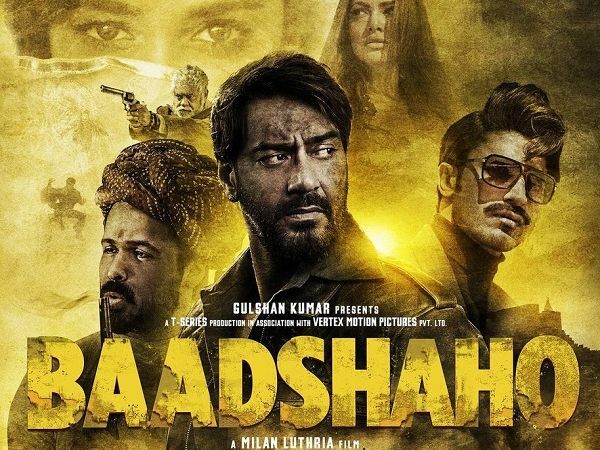 ‘Baadshaho’ was expected to make great noise in the audience, but only made noise in the film with all those bombs and gun firings. Honestly, it could have been a better story but it terribly failed at it. If you’re an action film lover, watch it once, plainly to concentrate on the action in the film. But otherwise, you can let this pass. Also See: Movie Review: “Shubh Mangal Saavdhan” Is A Breezy Entertainer!